Sonic Boom Motorsport Scene Trophies. Available in 2 sizes, 170mm and 190mm high. 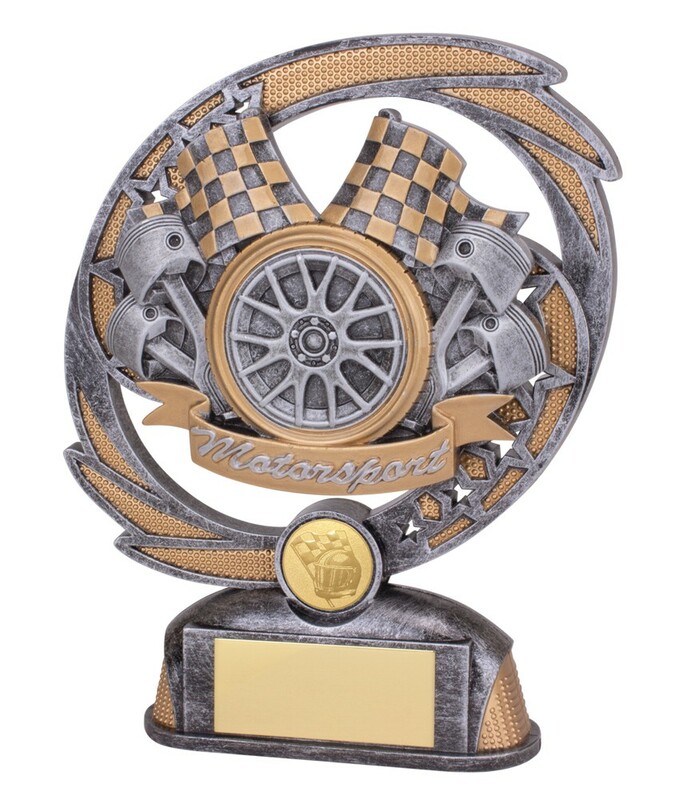 Silver motorsport scene depicting a wheel, flags and pistons with gold highlight. A perfect motor sport award.